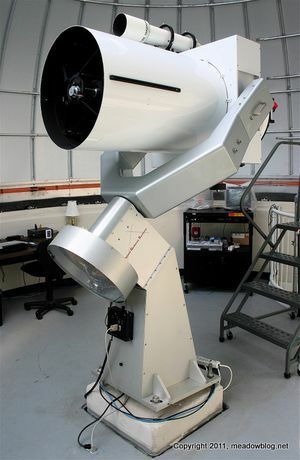 The William D. McDowell Observatory in DeKorte Park begins a new month of programming tomorrow night. Free public access is from 7 to 10 p.m. on Monday and Wednesday nights this month — weather permitting, of course. "The ancient cedar stumps were frozen over on this 16 degree morning. The ice made a beautiful frame for the spartina grass and the gray birch trees looked like a late Christmas card. 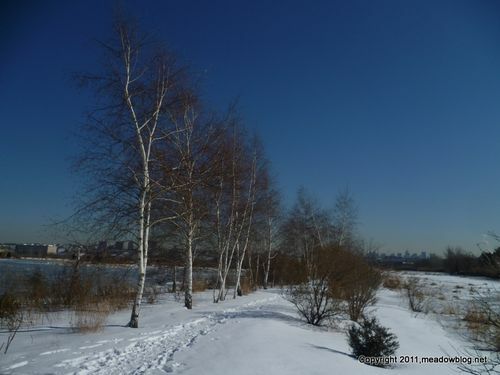 "As I made the first turn, white-throated song sparrows and American tree sparrows crisscrossed the snow covered trail. Mourning doves exploded from the grass, and goldfinches traversed the marsh with their roller coaster flight. It was worth getting out of bed." Dennis Cheeseman offered this DeKorte Ducky Daily Double. Both pix taken earlier this month. Can you ID them? 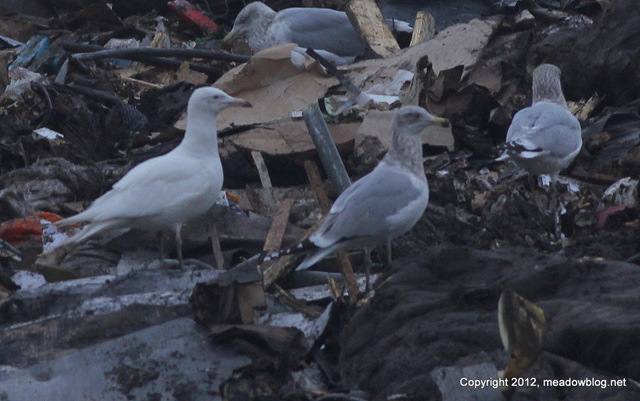 We came across the above gull at the Keegan Landfill last week, and took it to be an Iceland Gull. We believe the bird was seen again on Saturday, since a birding group pointed out what they ID'd as an Iceland Gull to Doug Morel, who took the photo below. What do you think? Post a comment or e-mail Jim Wright — jimwright (at) njmeadowlands.gov. Another pic follows on the jump. The striking, original illustrations for Thomas F. Yezerski’s acclaimed children’s book, “ Meadowlands: A Wetlands Survival Story,” will be on display for the first time ever at the New Jersey Meadowlands Commission’s (NJMC) Flyway Gallery in the Meadowlands Environment Center (MEC) today through Friday, March 30. To celebrate the gallery showing of these full-color illustrations, Yezerski is presenting a free talk and slide show on “Meadowlands,” followed by a book signing in the MEC on Sunday, Feb. 5, from noon to 1:30 p.m. 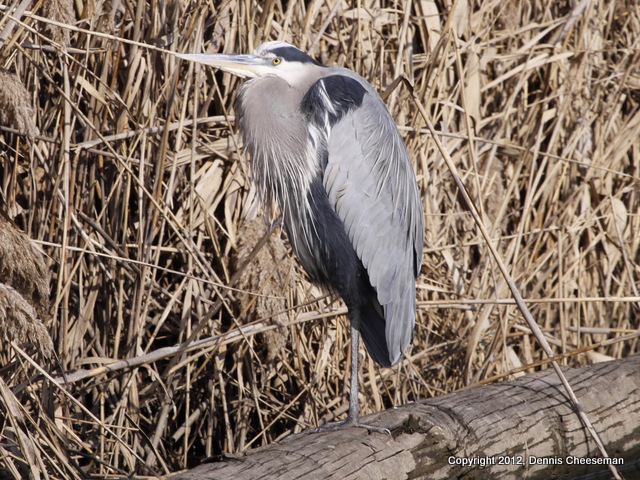 The talk is sponsored by the NJMC and the Bergen County Audubon Society. "I hadn't been to DeKorte since September, so I stopped by [last week]. 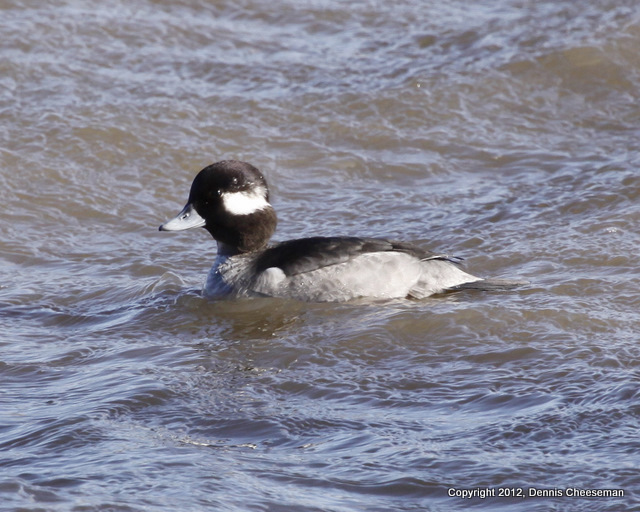 So many wintering ducks … My camera was so happy! 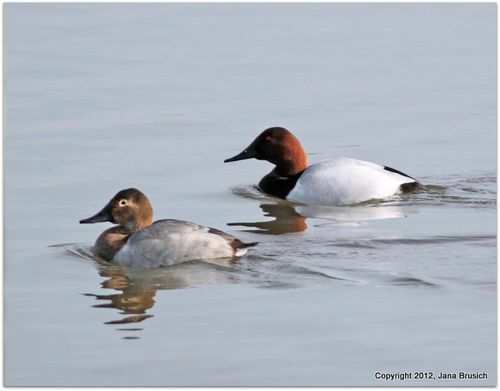 "I came across the Common Merganser (below), Shoveler, Gadwall, a large group of Canvasback resting in the Sun (above) and a single Bufflehead diving in the Teal Pool. What a good day!" TOMORROW: Tuesday's Teaser is a Ducky DeKorte Daily Double. 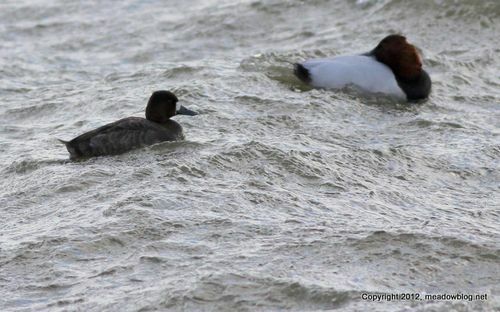 Great Birds @ DeKorte Today! Bittern plus! "Nice day & nice birds at DeKorte Park today: Iceland Gull (below), Am. Bittern (above), male Ring-necked Pheasant, Marsh Wren. 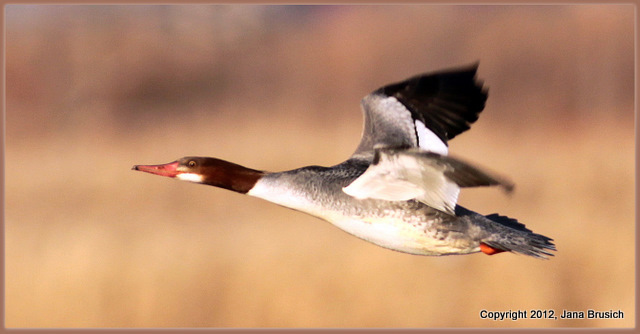 "Saw Iceland in flight, was pointed out to me by a group that was there as I came up to them. It then landed in water, right near the main building. I hustled over from Transco trail and got photo just as it took off. 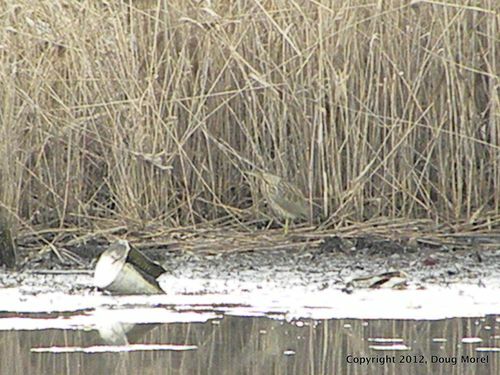 "Bittern was at edge of Phrags opposite the parking lot near entrance to park, was scanning for Yellowlegs & Surprise! "Pheasant was also right place right time, was driving out & the bird was right at the entrance to the park. Just mosied into the thick forsythia there. Waited for a bit to see if it would come out for photo but didn't, so I moved on. "These were all 1st of 2012 for me. 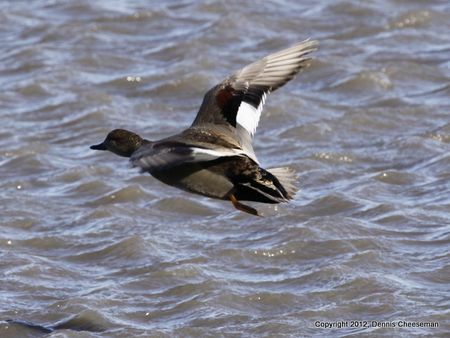 "Plenty of others around as well including 12 species of ducks, Gr.Yellowlegs, Harrier & RC Kinglet." There may be a controversy brewing on the gull. More on Monday! 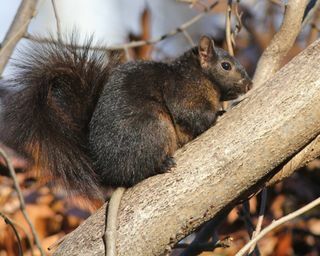 * A Great Black-backed Squirrel in Rutherford. 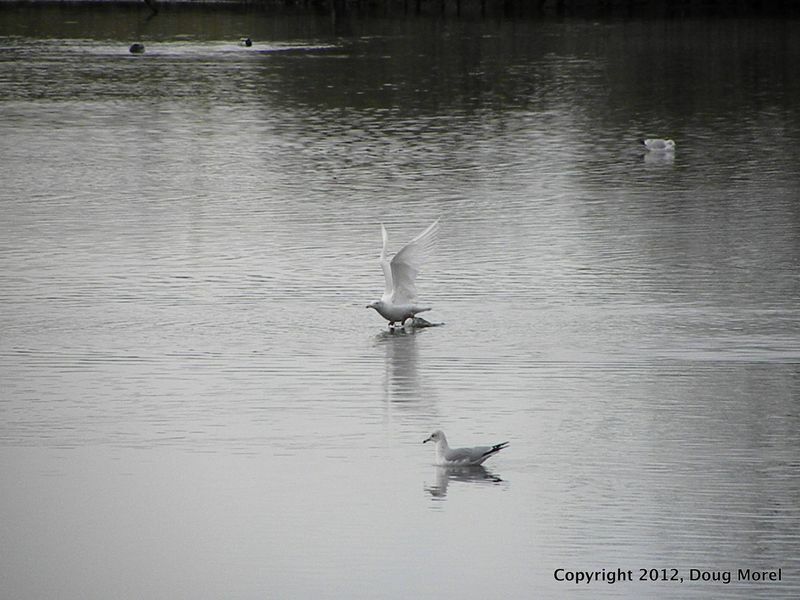 * A Great Black-backed Gull in Lyndhurst. * The NJMC's fall 2012 bird-banding results from the closed Erie Landfill. 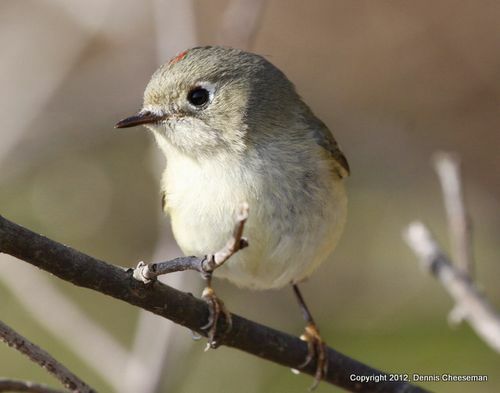 Dennis Cheeseman pulled off a rare feat this week — nice photographs of both a Ruby-crowned Kinglet and a Great Blue Heron at DeKorte Park on the same day.